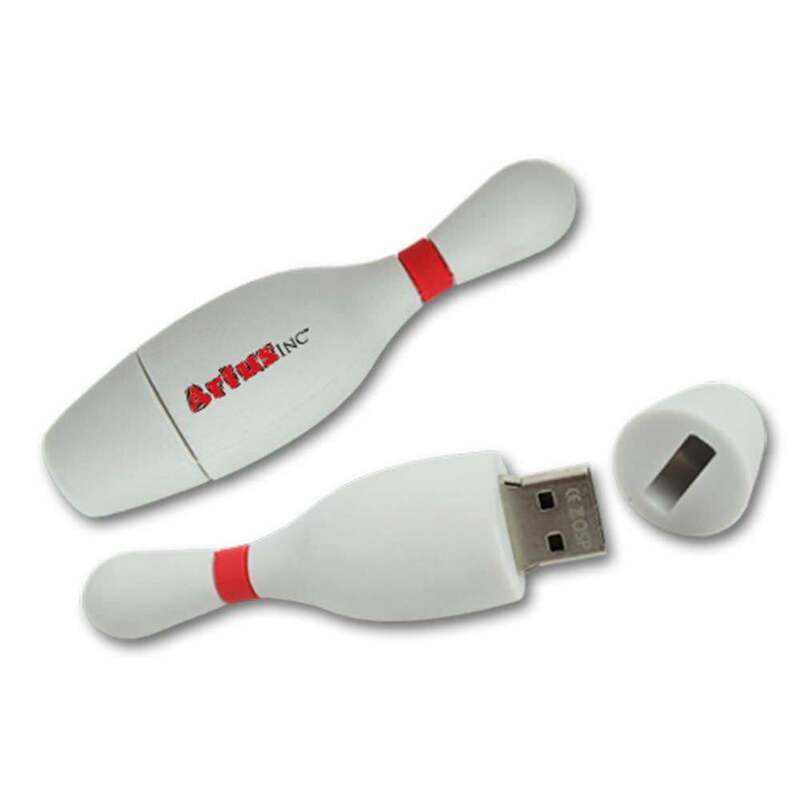 Score a perfect game when you hand out these custom bowling pin-shaped USB flash drives to potential customers, clients, and industry leaders at the next event. 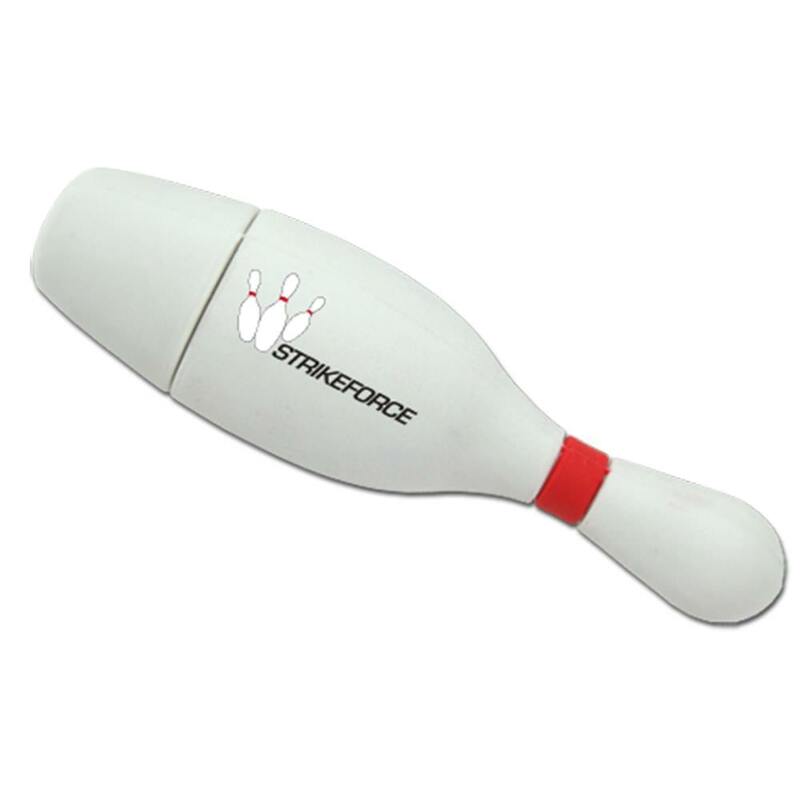 These drives are designed to provide a classic appeal with the pristine white bowling pins colored with a bright red stripe around the neck. 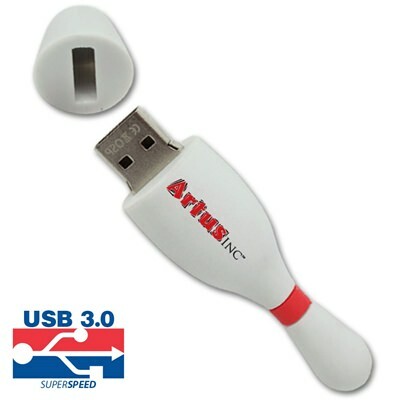 Pull off the bottom of the pin and the USB connector appears ready to be plugged into a computer. 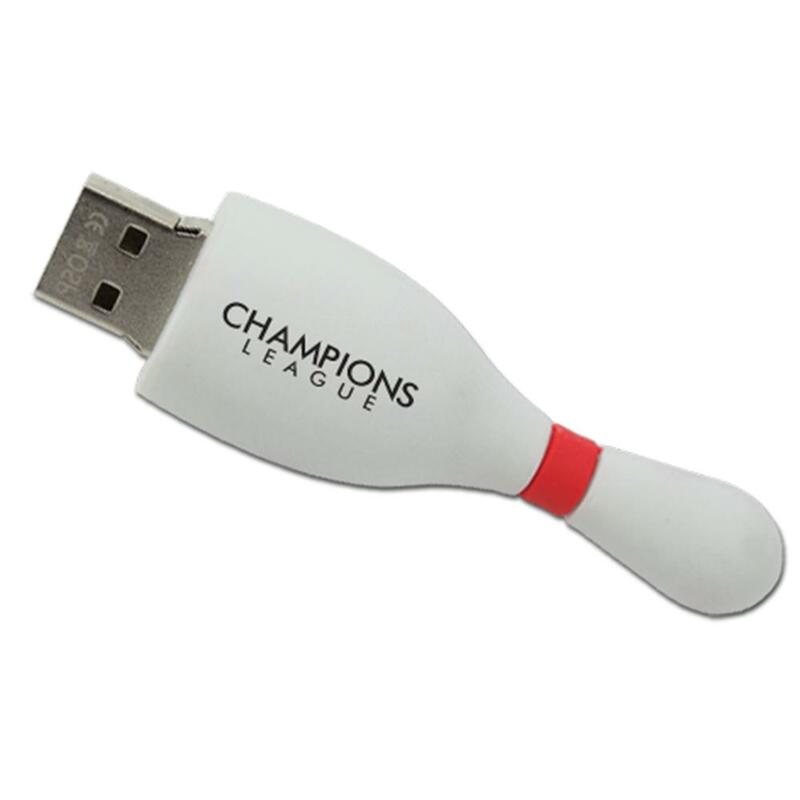 Company logos are printed on the clean white surface that has plenty of space to print bold and vivid colors. 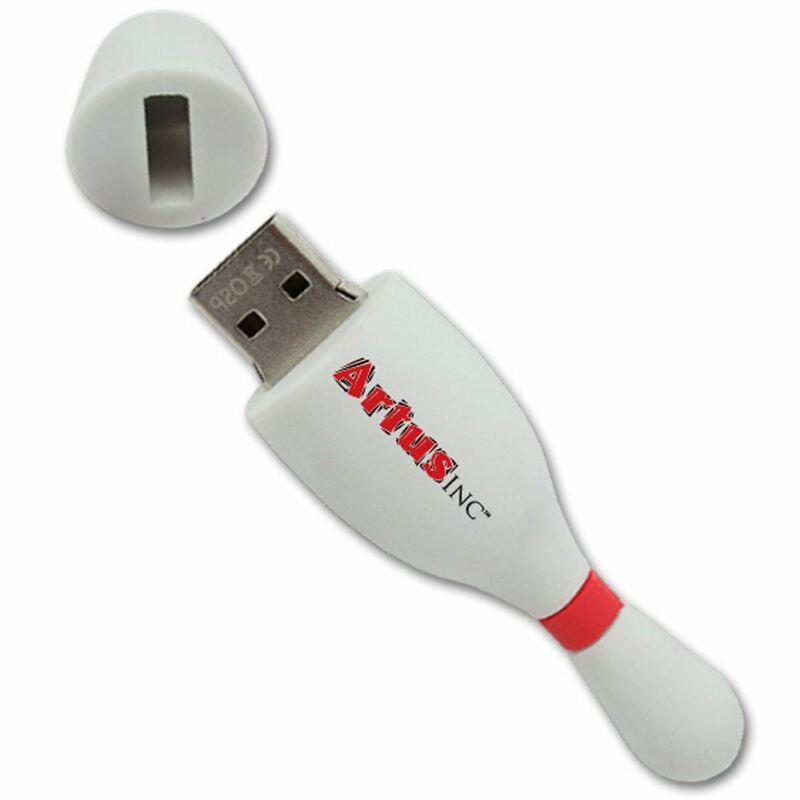 These drives are especially great to hand out to members of a bowling league, teen & youth clubs, sports event organizations, and more. Imagine the look of delight on the faces of recipients when they see you have arranged these branded USB drives in the shape of a classic bowling pin.